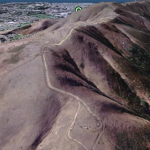 Ever look close, I mean real close at the imagery you seen in Google Earth and other online map providers? You’ll notice most of it, in the United States at least, comes from the USGS or USDA Farm Service Agency. But have you noticed they sometimes doctor the imagery to remove clouds or other collection artifacts? 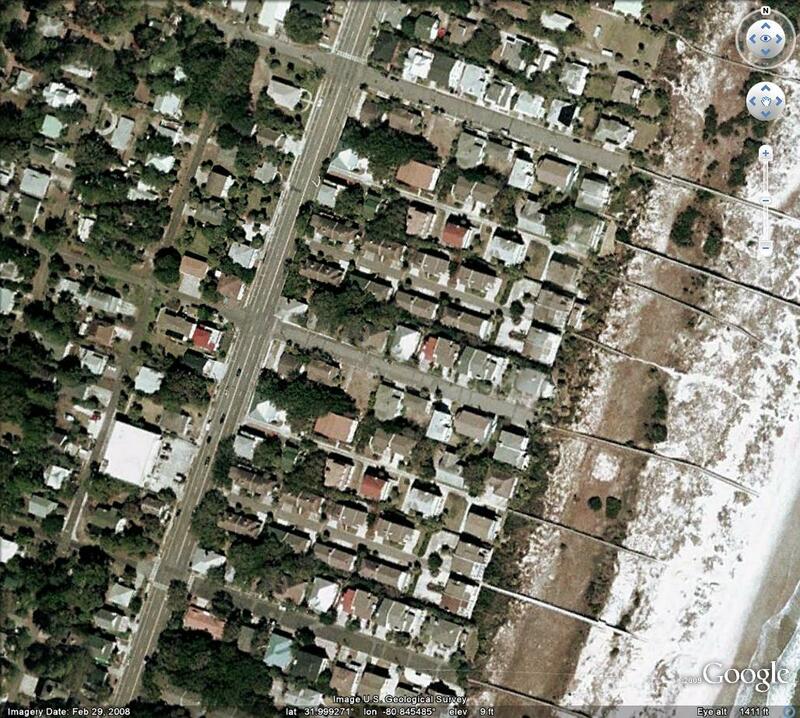 Well, look at the above image again Here’s the Gmaps view in Tybee Island, GA. Thanks Andrew and Geoff! My colleage Wilson setup a open-to-everyone Google MyMaps project for folks to note which streets in DC have been plowed. Had to hack the embed with a network link via Google Maps to get all the locations to plot on one map (MyMap usually wants to separate blocks of markers into separate pages and maps). Check it out at The Washington Post . . .
Want to get a sense of just how bad things are? 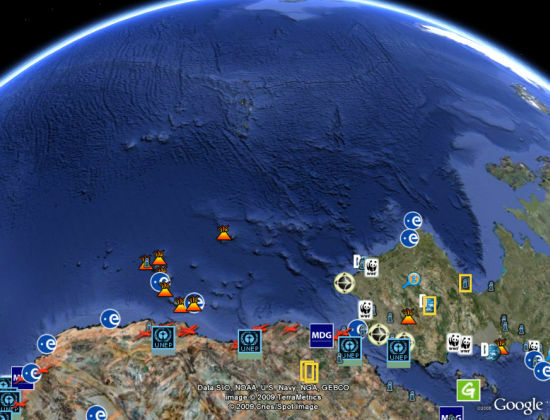 Take a spin on Google Earth. The latest issue of International Economy, edited by FP contributor David Smick, has a clever graphic showing the depth of the economic crisis, so I thought I’d share. The world’s busiest port for container traffic, Singapore saw its year-over-year volume drop by 19.6 percent in January 2009, followed by a 19.8 percent drop in February. 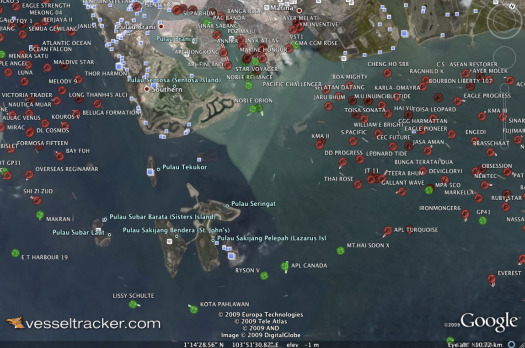 As of mid-March 2009, 11.3 percent of the world’s shipping capacity, sat idle, a record. It’s a rough time to be an Asian tiger, or to be in the shipping business. The IMF projects that Singapore’s economy will shrink significantly in 2009. Globally, bulk shipping rates have dropped more than 80 percent in the past year on weak demand, and orders for new shipping vessels are cratering. In Busan, South Korea, the fifth-largest port in the world, empty shipping containers are piling up faster than officials can manage. Green shoots? Not so much. Original January 14th, 2009 by Randy Riddle. Google has added the El Prado museum to Google Earth, allowing you to not only see the buildings, but to do a “virtual tour” of 14 paintings in the collections, viewing them in incredible detail – each painting is captured and presented in 14 billion pixels. Below is a short video and you can also read a blog post at Gizmodo about the project. UPDATE: Be cautious about installing GE 5 on your Mac. Wired has the details . . .
Republished from Electronista / MacNN. 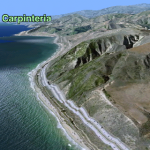 Google’s LatLong blog has official coverage: Historical Imagery and Ocean elevation data. Download version 5 from Google for Mac, Windows, and Linux. 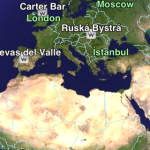 Google on Monday announced the immediate release of Google Earth 5.0, bumping it up from the previous 4.3 build. Among the biggest changes are the inclusion of a detailed 3D ocean floor, the ability to go up to 50 years back in time when looking at a particular location, record a virtual tour of locations, and a 3D rendition of Mars. The ocean feature was developed together with many partners, including National Geographic, the Monterey Bay Aquarium and the US Navy, among others. The approximate two-thirds of the planet can now be viewed under water and includes videos and images of ocean life, along with details on surf spots, expedition logs and more. 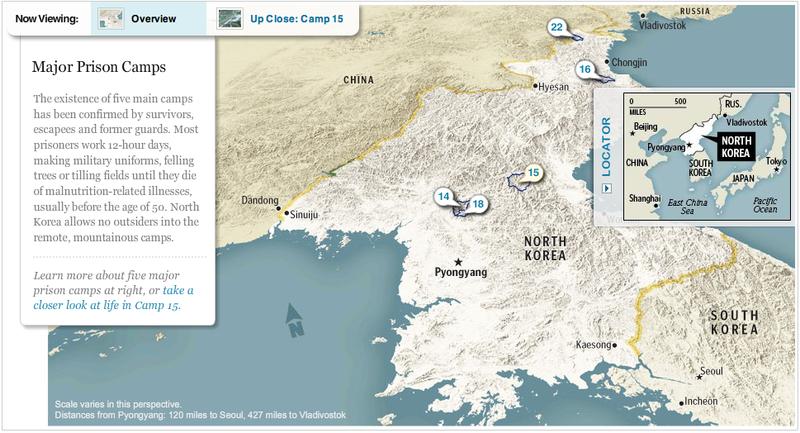 The historical images are accessed via a clock icon on the toolbar when viewing a location on the planet. The Touring feature lets travelers show off their journeys by recording navigating through their destinations and easily sharing them with peers. The fly-throughs can be narrated for an organized flow of a multi-stop journey. Thanks to a joint project with NASA, Google Earth now also extends beyond to include a 3D map of Mars. Apart from 3D terrain, there are annotations describing the location and circumstanced associated with landing sites and the red planet’s other curiosities. The download is free for both Mac and Windows PCs. Comprehensive information on the new features of Google Earth will be published throughout the week on Google’s Lat Long blog. [Editor’s note: At $10 this app seems a bit pricey for basic digital earth viewer ala Google Earth but the YouTube video is nifty and demonstrates the wikipedia geotags and the app is sure to wow your friends. The comments in iTunes App Store say the quality is fuzzy zoomed into local areas. I have yet to try this app myself. Republished from the app’s promotional website. Get app via iTunes. 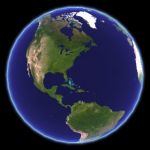 Earthscape Basic is the world’s first virtual globe application for mobile devices — available now for the iPhone, iPhone 3G, and iPod Touch. With hundreds of thousands of geotagged wikipedia articles, you can learn about the geological forces that shaped our world, historic events that changed civilization, and monuments we have built in our quest to understand the universe we live in. 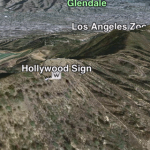 Or perhaps you are more interested in finding out exactly where the Hollywood sign is, or where the Coliseum in Rome is located — it’s all there. 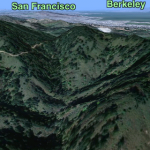 If you like Google Earth on your desktop, you will love Earthscape in your palm. Garafa published GPS Kit for the iPhone 3G on August 14th for $10. YouTube demonstration above from Garafa. I’ve spent the weekend experimenting with the app and the accuracy seems comparable to RunKeeper and iTrail which I reviewed last week. However, GPS Kit has better features, though by the time you read this iTrail will have nearly caught up. GPS Kit meets 10 of my 22 criteria for GPS on the iPhone, the same as iTrail but with GPS Kit having a higher price point but with slightly nicer package. Intelligent data collection intervals: If you move fast, more points, if slow less points. See how far you are from each waypoint. In KML record GPS accuracy (eg: accurate to 10m, 310m). iTrail @ $3- in app map of route, plotting of statistics; has a screen lock while recording. 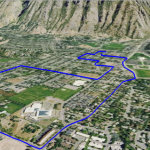 Export to GPX and KML. No waypoint support (coming in version 1.3). Read my review. RunKeeper @ $10- Geared more towards fitness activities with stats like “pace”. 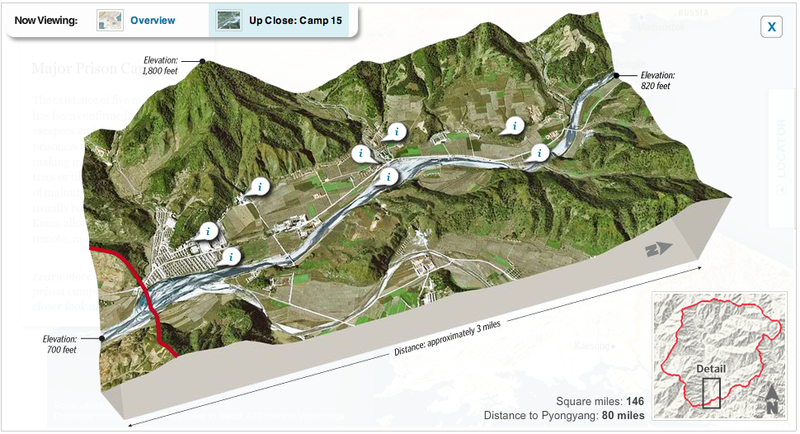 Needs to upload data to web service (free) to see route on map. Read my review. GPS Tracker @ free – real-time tracking service including lat, long, altitude, speed, heading, and accuracy. Can export to CVS and KML. Requires web service to record and see on map. gSpot @ $2 – no privacy concerns (not published online for anyone to see as you move with the app on): lat, long, altitude, speed, heading, and accuracy. 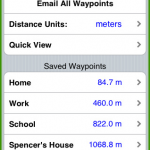 Can share waypoints via email. 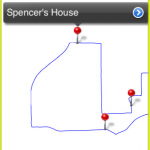 Can display waypoints in the iPhone’s mapping application. PathTracker @ $1 – real time map showing route/track; distance, time, average speed, current location and altitude; save your path and export in GPX and KML. Available in many different languages including Chinese, French, and Spanish. 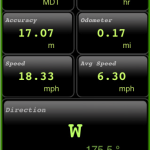 gps Compass @ $2 – real time stats that are user modifiable; multiple languages including German and Japanese. No map. Speedster GPS @ $1 – speed and altitude in real time with history of pervious data points. No map. Distance Meter @ $3- distance, speed, and pace tracker. No map. Altitude and XY shown for current location only. Geopher Lite @ $2 – distance and heading to waypoint. No map. Ability to turn GPS off in certain functions to save battery. OverHere @ $1 – email waypoint (current location). No map. Altitude @ $1 – altitude with accuracy (but is it Z accuracy or XY accuracy?). No map. Speed @ free – real time speedometer. No map. 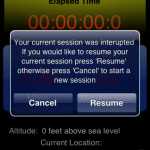 All of these applications require an iPhone 3G with GPS for best performance.